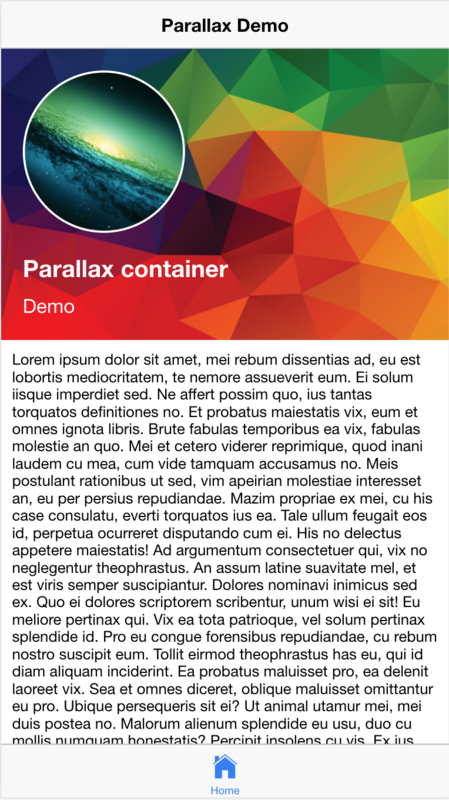 Parallax Container for Ionic v2/v3 is an easy-to-use component which adds content with parallax effect into your Ionic app. Note: For better effect in iOS native app, install cordova-plugin-wkwebview-engine plugin. Note: Currently, component can be used as a header only, as shown in the demo. 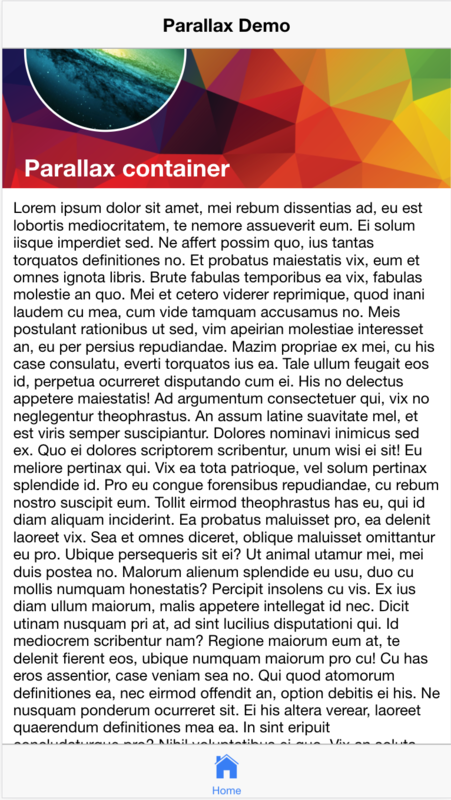 Hello, thanks, we purchased your component, but how can we remove the bounce (over scroll when pulling down) on iOS? Hi, just a quick question. Is that component works with lazy loaded pages? Thanks. Hi @Cristian, this component works as any other component, and should be added inside ion-content component. Hey there! You'll need to log in and purchase the add-on before you can leave a rating here.